YAMABOKU WILD SNOW PARK: A SECRET POWDER PARADISE IN NAGANO! 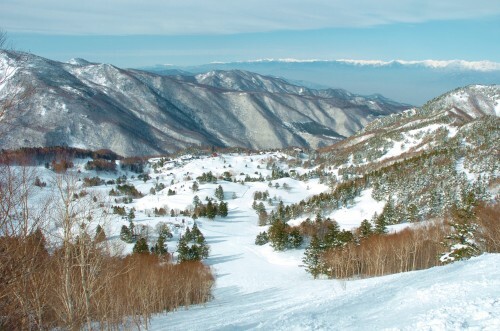 Host of the 1998 Winter Olympics, home to more than 30 independent ski resorts including Japan’s largest – Shiga Kogen – and the internationally acclaimed resorts of Hakuba, blessed with deep, dry powder, and capped-off with all the trimmings of winter in Japan – think onsen, food, and friendly locals – Nagano is long been an established fixture on the map for powderhounds from all over the world! 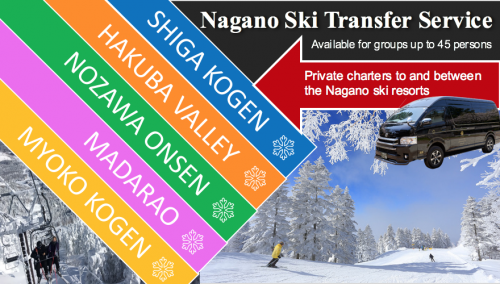 Let’s just say Nagano’s winter credentials are very well-known. 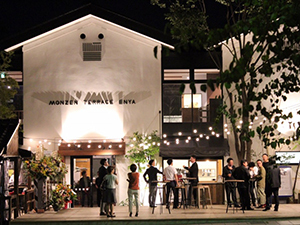 Nagano’s popularity with international skiers and boarders means resorts are increasingly more foreigner-friendly with more and more English-language services popping-up and the cafes, restaurants, and bars of Hakuba, Nozawa, Madarao and more often staffed and full of foreign faces or even entirely English menus. This extends to the slopes which at times could be mistaken for another country, with Japanese in the minority and local culture and character somewhat receding from view. 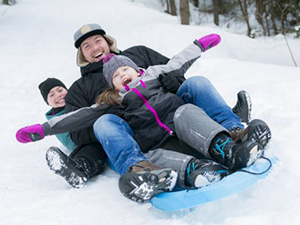 Yamaboku Wild Snow Park is one such resort! 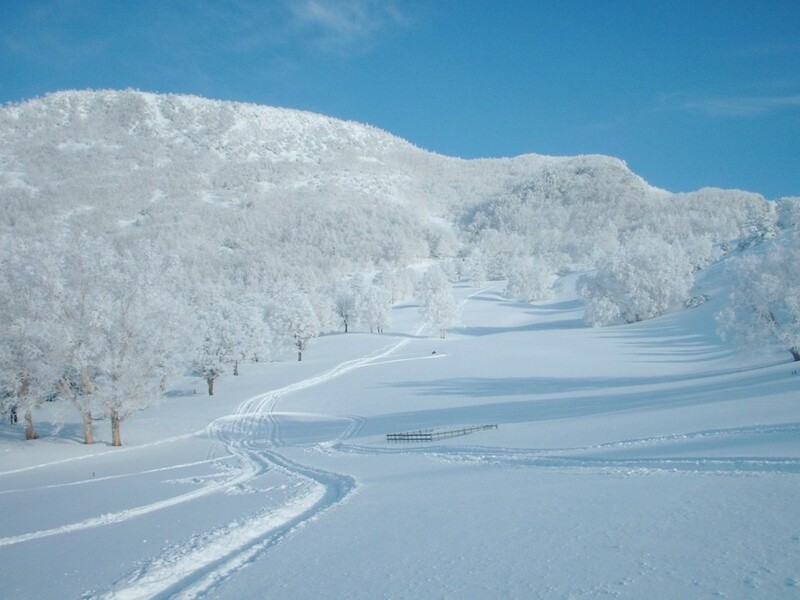 Located deep within the Matsukawa Valley and with spectacular views looking back toward the Northern Alps and Myoko, this small but entirely unique resort is known for two things: powder (lots of it!) and its authentic local, undiscovered nature. Popular with locals but largely unknown outside the immediate area, the entire resort is ungroomed and offers some of the best powder around! The make-up of the resort is fun and unique with only three chairlifts servicing the resort`s main ski area – the First Stage. Ungroomed courses crisscross tree line runs creating a bowl resort with a park-like atmosphere. Look around you and you see only locals, everyone of them there for the same reason – powder. And it’s powder you don’t have to fight the hordes for. Requiring a bit of get up and go to make it there, daytrippers and newbies don’t have the drive (literally) to get themselves to Yamaboku. After a couple of First Stage runs your eyes will be drawn upward to the Second Stage and Third Stage. Accessed from the top of the resort, the Second Stage requires an additional day-pass and offers the best powder at Yamaboku, immediately accessible from the chairlifts. This is the place to shred between the trees and burst through clouds of powder. This is Yamaboku. 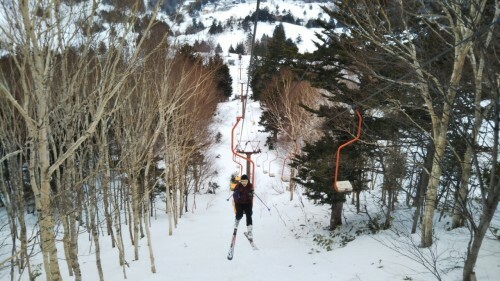 The classy single-ride chair lift is still active in Yamaboku, which is only a few left in Japan. Above the resort Yamaboku really comes into its own in the Third Stage. Accessibly only by cat, this is the “wild” in “Wild Snow Park” as you are transported toward the the peak of Mt Kasadake (2075m) and released to smash your way back down, or for the really adventurous, make your way with a guide over the backside of the mountain and toward the notorious volcanic peak of Mt Shriane and Kusatsu Onsen. The epic little delight that is Yamaboku Wild Snow Park, is rounded-out by the local but legendary “Tacochi Course”, which quietly lays claim to being Japan’s longest at 13km! 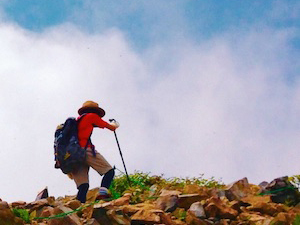 This thigh burning stretch back down toward Yamada Onsen is truly special as you dart between the cedars and into the forest, with eyes open for deer and monkeys that inhabit the mountains proper. 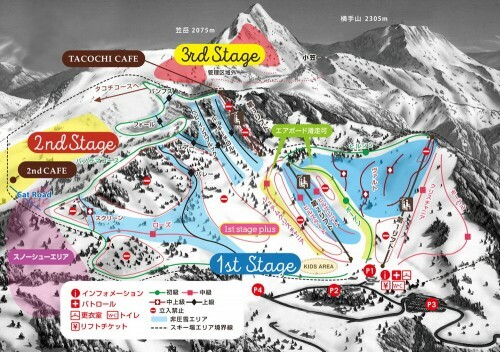 Suitable for intermediate and advanced skiers and snowboarders, the Tacochi Course is a Nagano legend and worth the effort of getting to! 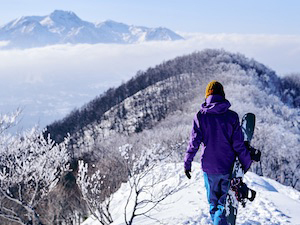 Local, remote, and wild, Yamaboku Wild Snow Park might just be that authentic Japanese powder experience you have been looking for! 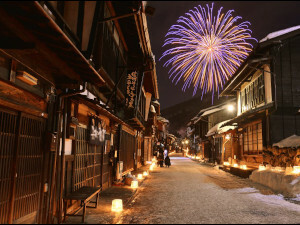 Yamaboku is open from 9AM to 4:30PM through winter (from early January through early March). A day-pass for the First Stage will set you back JPY3600 with a Second Stage pass (which includes access to the First Stage) costing JPY5700. The Third Stage is it`s own beast and all-day exercise and will set you back JPY19,000. With winter 2018/19 drawing to a close, keep an eye-out for Yamaboku`s announcement later in the year for season dates and prices for 2019/2020! 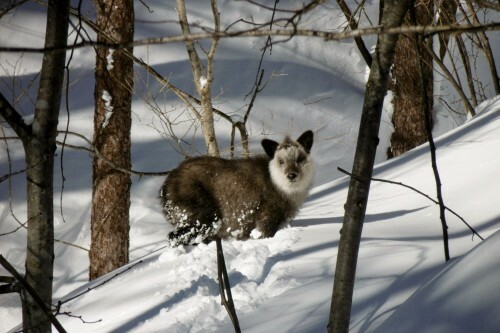 Yamaboku Wild Snow Park can be accessed by public transport from JR Nagano Station. Take the Nagano Dentetsu Line headed for Yudanaka and get off at Suzaka Satation. From, there take a local bus bound for Yamada Onsen – approximately 30 minutes – and get of at the final stop, Yamada Onsen Kids Ski Park. 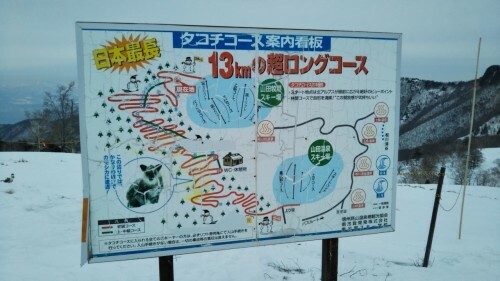 From there, a shuttle bus runs up to Yamaboku Wild Snow Park. 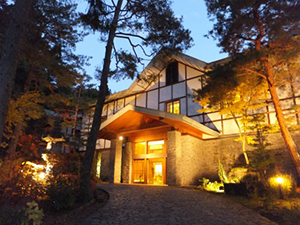 Alternatively, driving yourself is a great option, taking approximately 70 minutes to the resort from the center of Nagano City.